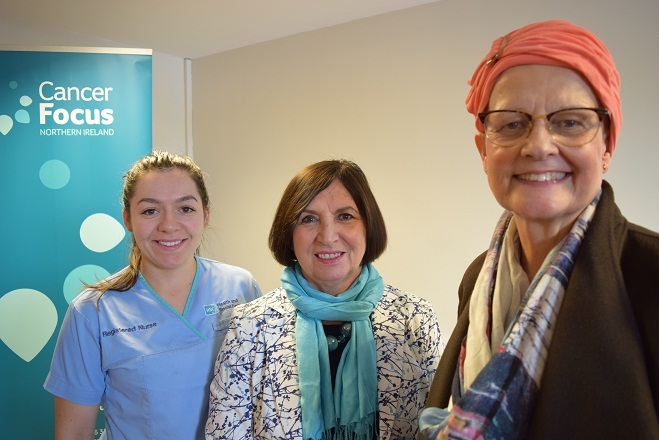 Betty, a retired psychiatric , has volunteered to become a specialist bra and swimwear fitter for women who have gone through breast cancer surgery. The free bra-fitting service has been set up by Cancer Focus Northern Ireland at Ballymote Centre, Killough Road, Downpatrick, for women who live in areas as far as Newcastle and Newry. The service starts on October 1 and will be open on Monday, 10am to 2pm. To make an appointment call 07971 061 593 or email care@cancerfocusni.org. “Cancer Focus NI has a range of other fantastic services, too, such as counselling, art and writing therapies and family support. If you have any concerns about cancer call the Cancer Focus NI NurseLine on 0800 783 3339.